The Sans Digital EliteRAID UTI6G series is the newest and most versitle Direct-Attached-Storage (DAS) / Storage Attached Network (SAN) in the market. 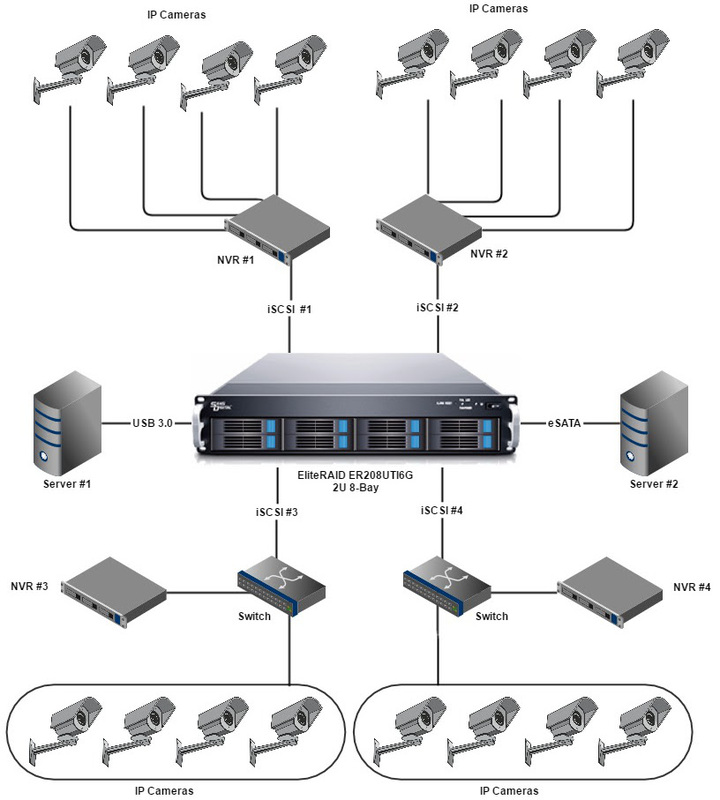 Specifically designed for Video Surveillance systems, the ER208UTI6G can support High-Definition IP camera recordings for small to midsize deployments. Other applications include complete virtualization software support including VMware, Citrix, and Hyper-V as well as other DAS and SAN usages. The EliteRAID UTI6G Series is now available in 2U 8-bay, 2U 12-bay, 3U 16-bay and 4U 24-bay rackmounts with USB 3.0 / eSATA / 4x iSCSI interfaces, with and embedded hardware RAID engine. The hardware RAID feature offloads complex RAID calculations from the client's operating system to the RAID engine, which increases the overall read/write performance and eliminates potential OS compatibility issues. The built-in Web GUI management interface and event notification with SMTP E-mail and SNMP trap allows administrators to monitor unit status remotely via web browser without the need for additional software. In addition to RAID 5, Mirroring (RAID 1) and Striping (RAID 0), the EliteRAID UTI6G series also supports RAID 6 to protect stored data from up to two hard drive failures. JBOD is also supported to allows drives to be accessed individually. Utilizing SATA drives, the EliteRAID UTI6G is guaranteed to achieve high performance DAS gains with fail-safe file protection at a very cost effective price range. 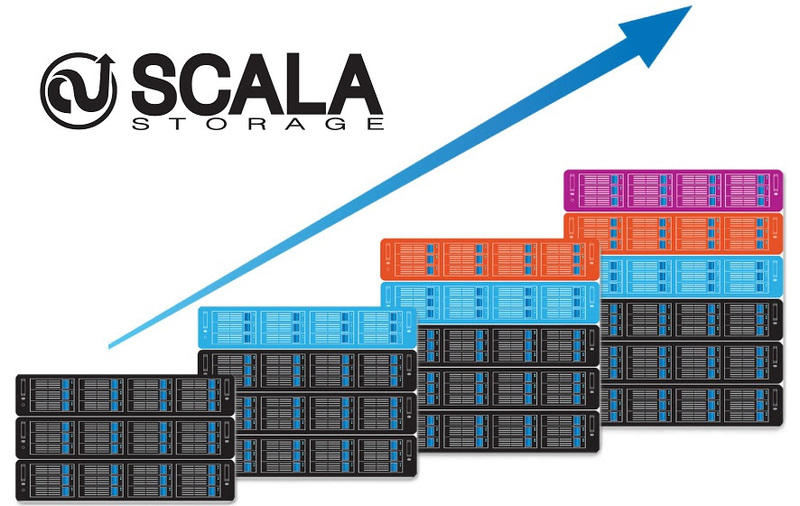 Need more capacity and better performance? 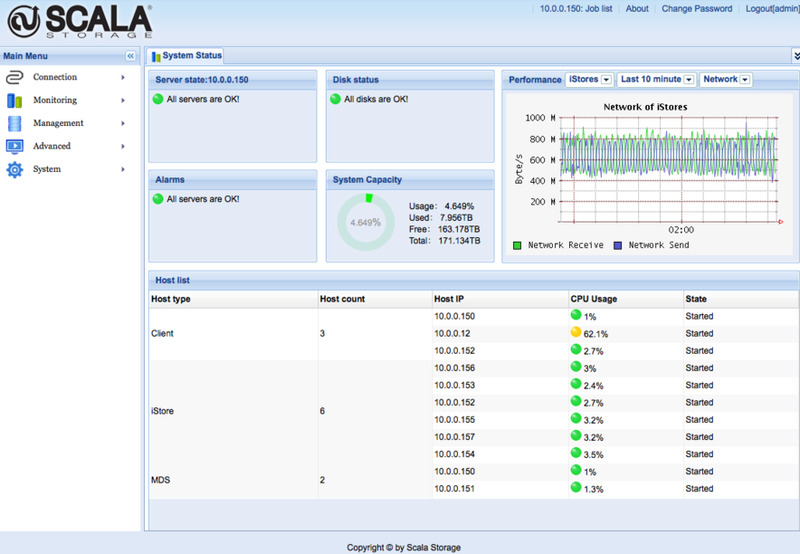 High performance: Increase the total system bandwidth and performance as you increase your storage. 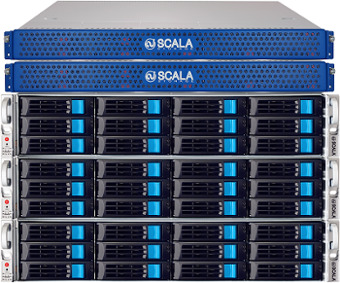 a 2PB rack of standard servers with SATA disks and dual 10GbE can deliver 18GBps throughput.